See how your organization’s security threat management capabilities compare with others. Are Organizations Prepared Against Today's Advanced Cybersecurity Threats? Download your free copy of this timely research report. Information security teams worldwide are increasingly concerned about the rapid growth of cyber threats. To address this concern and provide peer insights, Crowd Research Partners and ControlScan, in partnership with the 370,000+ member Information Security Community on LinkedIn, have conducted an in-depth study on several important threat lifecycle topics. 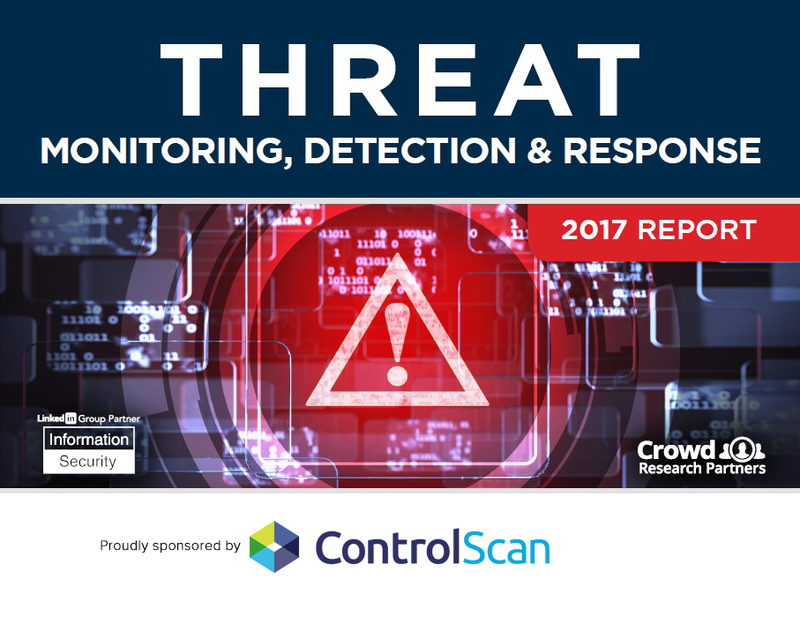 The 2017 Threat Monitoring, Detection and Response Report shares detailed information gathered through a comprehensive online survey of more than 400 cybersecurity professionals. The report sheds light on the various aspects of security threat management by measuring organizations’ progress with threat monitoring, detection and response. Dealing with advanced threats is the most significant concern for cybersecurity professionals: ransomware (48%), phishing attacks (48%) and attendant data loss (47%). Respondents noted significant challenges in addressing advanced threats—the most significant being the ability to detect threats (62%). Lack of budget (51%), lack of skilled personnel (49%), and lack of security awareness (49%) weighed in as the most significant obstacles facing security teams.